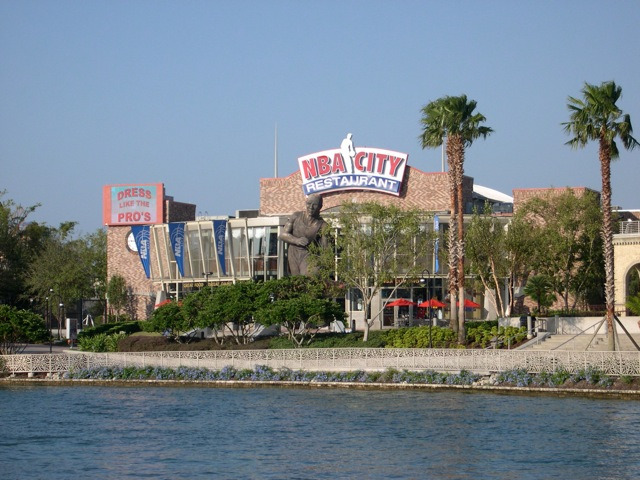 Citywalk is located between Universal two theme Parks, Universal Studios and Islands of Adventure. 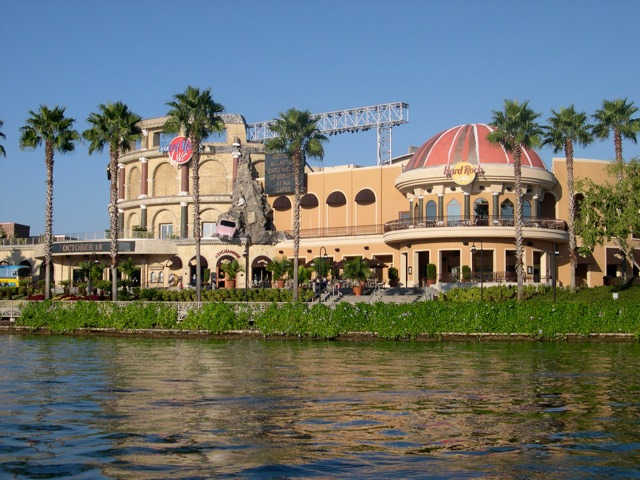 It is a 30 acre entertainment complex! A lot of the shops and restaurants are open all day, however it really comes into it’s own during the evening. You can even buy a movie and meal package for $21. 95 which includes a selection of main course at one of 9 different restaurants as well as your movie ticket. 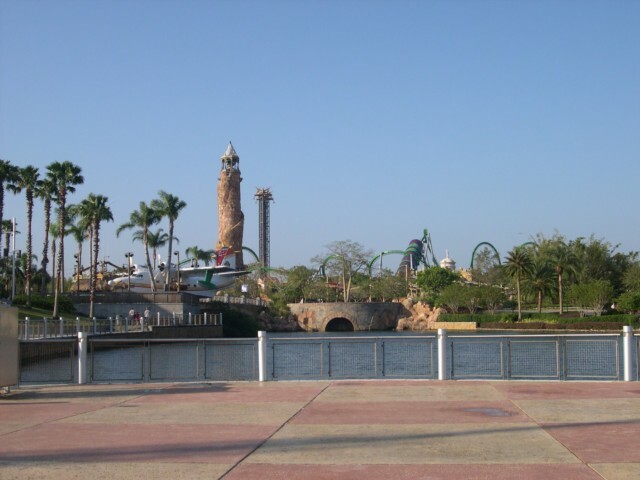 You really are spoilt for choice when it comes to restaurants – whether you want to grab breakfast on the way to the parks, lunch or a full blown dinner with entertainment, there is masses of choice. 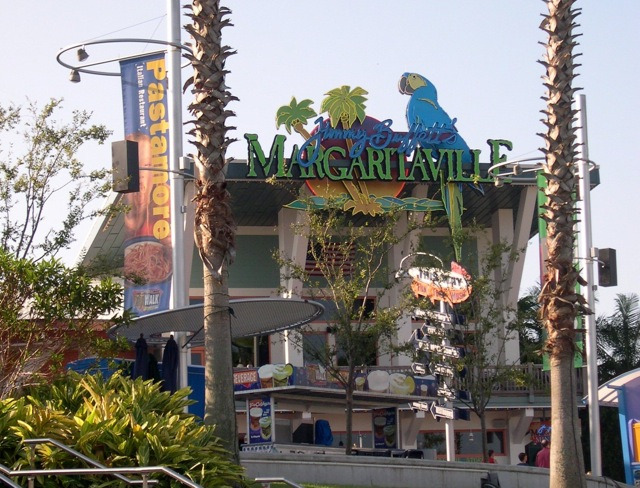 One of our favourites is Jimmy Buffets Margaritaville – at lunchtime it’s lovely to sit back on one of their ‘laid back’ chairs enjoying a cocktail, my favourite is a top shelf Margarita, and watching everybody else rushing between the parks! 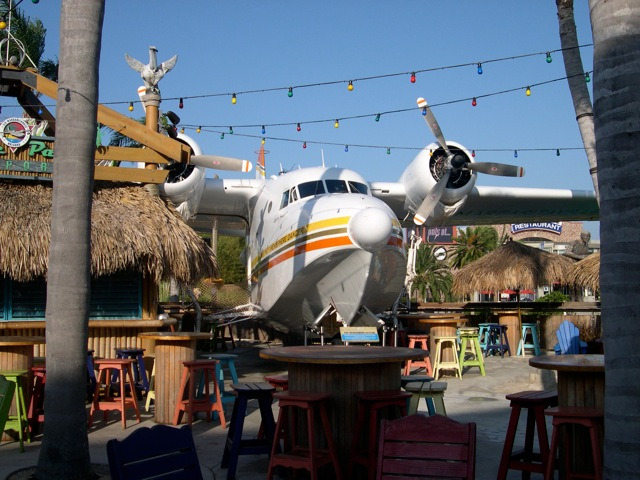 In the evening the restaurant is a really lively place to eat, the kids are entertained by stilt walkers who wander the restaurant making balloon sculptures for the kids, anything from a flower for your princess’ hair to a parrot for your budding pirate! 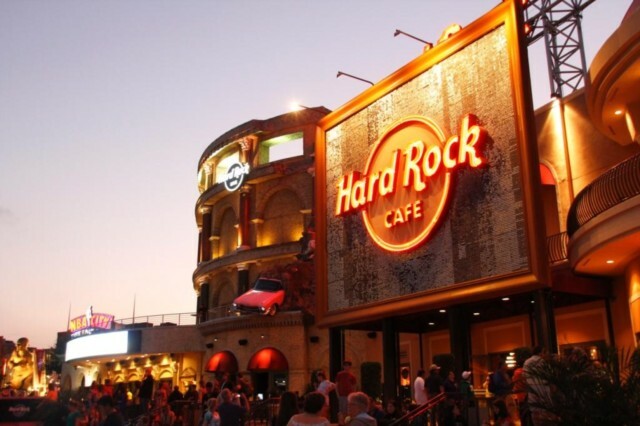 At 10pm the live music starts and if you’re not too tired from all those rollercoasters during the day then you can party away until 2am. There are plenty of clubs with different styles of music to choose from, so whether you’re into rock, Jazz, reggae or salsa you’re bound to find something to get your toes tapping. 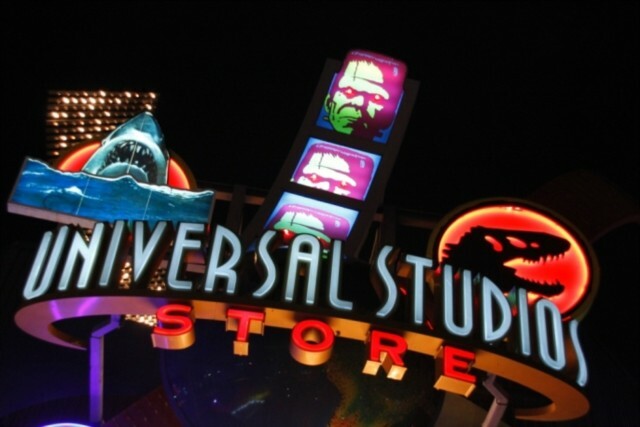 Us shopaholics are well catered for and you will find plenty of souvenirs in the Universal Studios store, a cigar shop with a bar, Fossil for watches clothes and sunglasses, The Island Clothing store, The Endangered Species Store – who said shopping couldn’t be educational! ! - and even a Starbucks – a Grande Latte is always needed after all that shopping! 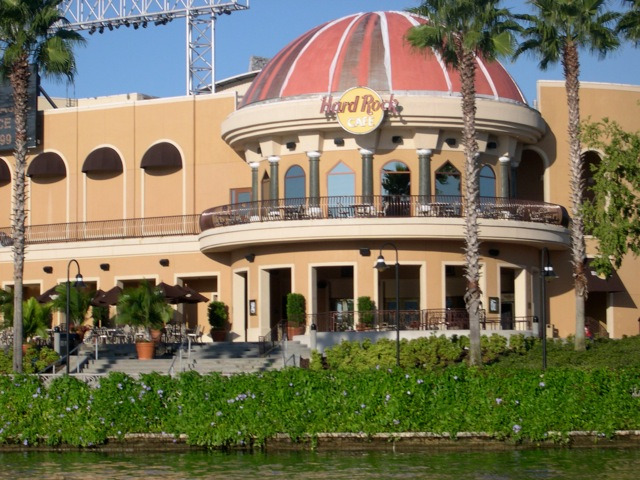 There are boats that transport you from CityWalk to the three Universal hotels, The Hard Rock, The Portofino Bay and The Royal Pacific Resort – so if you fancy dinner or drinks in one of the hotels then you can combine this with your visit to CityWalk. If you just fancy sitting on the boat and drifting peacefully around well that’s fine too!